A concealer is a must-have in any makeup junkie’s kit. This magical multi-tasking product can help you hide dark circles, pimples, dark spots, pigmentation and fake a good night’s sleep! If you still do not know how to use a concealer then you are missing out on the best makeup product. So, here is our simple guide including best concealer tips which will help you to use concealer like a pro. Here is a step-by-step guide to conceal pimples, dark circles and other skin imperfections. We have covered almost all the issues which one can possibly come across while applying a concealer. The first step is to choose a good concealer which suits your skin requirements. It includes the basic 3 steps including knowing your undertone, picking the right shade and then choosing the type of concealer you want to use. Let’s start! The most important thing to figure out before you go makeup shopping is your undertone. There are 3 broad classifications to undertones: cool, warm and neutral. The best way is to check the veins on your arm – If they appear to be blue then you have a cool undertone. If the veins appear to be green you are most likely a warm undertone. If the veins appear to be mix of green and blue you have neutral undertones. If the undertone of your concealer is wrong – it may turn ashy on your skin. Now that we’ve helped you figure out your undertone, keep these easy tips in mind while picking your shade of concealer. Cool: A concealer with slight pink undertones would be your best match. Warm: A concealer with warm yellow & golden undertones would be your best match. Neutral: A concealer that’s not too pink and not too yellow would be your best match. Concealers are of different types- sticks, potted creams and pencils. The difference among them is the kind of coverage they offer. You need to find the one which will suit your skin the best. 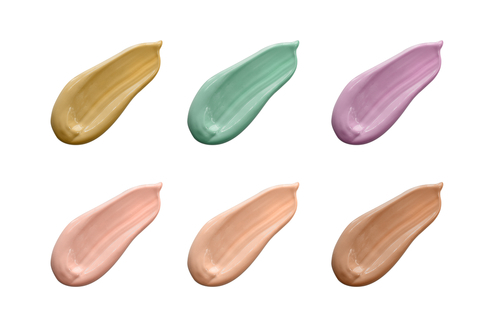 Choose a liquid concealer for an oily skin with large pores. Never use cream or stick concealers for oily skin as they may make your large pores look even bigger. For concealing acne and pimples, use a pencil or cream concealer. The pointed edge of the pencil concealer makes it easier to apply it around the acne spots. While on the other hand, the cream concealers can be molded and blended on the blemish. Before using the concealer on your face, you need to clean your face with a mild cleanser. Apply a moisturizer on your clean face to prepare a smooth surface for the concealer. These two basic steps are really important so don’t miss them. Color correcting neutralizes imperfections on your skin like dark circles, pigmentation, redness etc. To make it easy for you, we’ve broken down the colors for you. With corrector, please remember to apply *ONLY* where needed, a little goes a long way. Moderation is key here ladies! If you don’t have a corrector handy, red and orange lipstick (matte) works too. You’re welcome! How to apply concealer under eyes? If you want to use a foundation then apply it before applying the concealer. Otherwise you can also skip using a foundation if its suits you. Once you’re done with color correction and foundation, apply a flesh-toned concealer over the corrector to even out your skin. Always apply your concealer in a triangle shape under your eyes as shown in the given picture. Use a concealer brush to blend it with your skin. Applying concealer in a U shape under your eyes won’t give a natural look. Also, if you have a full coverage foundation, you can totally skip this step. Once you’re done with color correction, apply a flesh-toned concealer over the corrector to even out your skin. Always apply your concealer in a triangle shape under your eyes! If you have a full coverage foundation, you can totally skip this step! Don’t go on to apply concealer all over you face instead go step by step for a natural and even texture. After covering your under eye skin, cover your acne, sun marks, birthmarks and spots with concealer. Apply a thin layer of concealer over these and then blend it using the brush. Apply more if required. Once you are done with covering all your skin imperfections with concealer use face powder to set the makeup. You can also use a compact powder foundation which will do the job of both foundation and face powder. A good concealer can go a long way if you set it well. A loose powder works best for setting your foundation and concealer without looking too made up. A yellow setting powder will give you the added brightness neutralizing any further discoloration! #1 Say Goodbye To Pigmented Lips! Dab a teeny amount of flesh-toned concealer over your lips to hide any pigmentation. The concealer will neutralize any discoloration giving you a clean canvas for your lipstick. Try this and we promise you’re going to get some great color pay off! 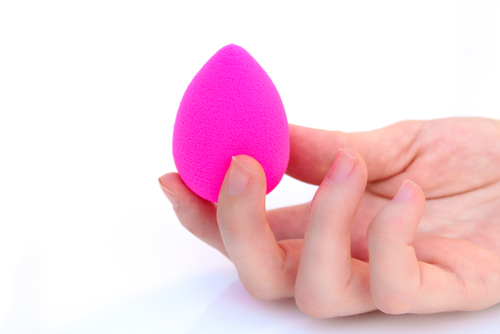 Invest in a good blending sponge and dampen it before you begin your makeup. This will allow the product to blend into your skin leaving you with flawless streak-free skin. The sponge can be used to apply color corrector, foundation and concealer. Psst! You can even use it for blush and highlight. #3 If You Can’T Get The Reds Right, Go For Green! The visible redness on our face is the major cause of using a concealer to cover them. If you are caught in the dilemma of how to apply concealer of an unsuitable shade, choose a green corrector above anything else. This works efficiently to disguise the redness caused by acne scars or sunburn and gives you an even skin tone. Using a foundation before a concealer will help you to prepare a base for the concealer. You will also end up using less amount of concealer if you use it after foundation. If you are out of concealer or haven’t got the one that suits you dusky skin then you can probably discard the idea of using a concealer altogether. Instead, apply a foundation that has near to full coverage. A foundation that matches your skin tone can do the work of a concealer too! We hope by now you have learnt how to apply a concealer. 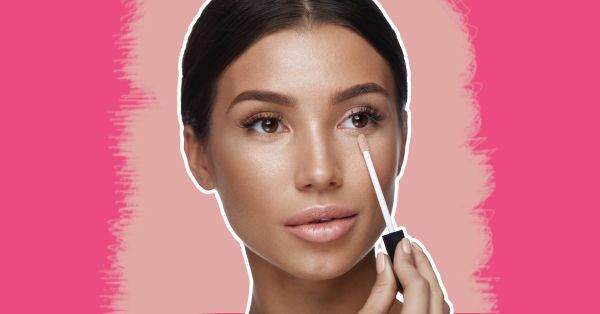 Concealers are really amazing, give some of these hacks a go and watch your face transform!